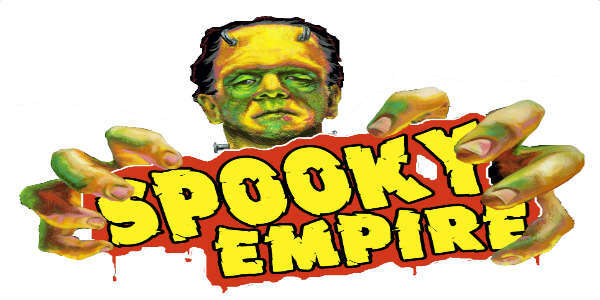 Spooky Empire, which hosts the popular Ultimate Horror Weekends every October in Orlando, has announced they are holding a mid-season convention called Spooky Empire Retro the weekend of April 1-3. Retro will be headlined by a roster of celebrity guests that include legendary shock rocker Alice Cooper; actors Anthony Michael Hall, Ilan Mitchell-Smith and Kelly LeBrock for a Weird Science cast reunion; actress Drea de Matteo (“The Sopranos,” “Sons of Anarchy,” “Shades of Blue); actress Heather Langenkamp (the Nightmare on Elm Street films); and Troma Studios head Lloyd Kaufman. Also scheduled to appear are actor Paul Sorvino (Goodfellas, Repo: The Genetic Opera); Godzilla actor and stunt performer Tsutomu Kitagawa; the cast of A Nightmare on Elm Street 3 (Jennifer Rubin, Rodney Eastman, Penelope Sudrow, and Ira Heiden); the cast of 1985’s Day of the Dead (Terry Alexander, Lori Cardille, Gary Klar, and Barry Anderson); musician Twiggy Ramierez; and many more. The weekend also includes a Zombie Walk at noon on Friday, panels with most of the guests, autograph and photo ops for purchase, nightly pool parties, a vendor room to purchase memorabilia, a costume contest, and a tattoo festival. Spooky Empire Retro takes place at the Wyndham Orlando Resort. If you want to stay in the heart of the fun, rooms are available for a discounted price of $110 per night. Rooms can be reserved by calling 1-800-421-8001. Mention ‘Spooky Empire’ for special rate. Advance tickets are now on sale, as well as weekend passes. Individual day tickets are $30 for Friday and Sunday, and $35 for Saturday. Weekend passes are $60, with VIP weekend passes $199 (includes early entry, t-shirts, autograph fast passes, a VIP celebrity party, and more). Tickets for children 10 and under are free. Prices are more if you wait until the weekend of, provided there are tickets left. You can purchase your admission or get more information on the Retro convention at spookyempire.com. But thanks to the fine folks at Spooky Empire we have a pair of weekend passes to give away. That’s right, you and a guest can enjoy the whole weekend convention, but you gotta take your chances and enter our giveaway. Simply use the Rafflecopter form below to enter. You can even earn extra entries by doing things like tweeting about this contest. Deadline to enter is 11:59pm (ET) on Sunday, March 27, 2016. The winner will be drawn at random from all valid entries during the contest duration, and notified via email. Please do not enter if you can’t attend the weekend of April 1-3. Spooky is always a blast. It’s fun to meet the celeb icons and there is so much to see and do. Try to make it when we can! It would wonderful to meet the cast of Weird Science. They have a lot of wonderful guests this year, though. It would be my first year, so excited! I would love to go to this. This sounds like a lot of fun. I would love to see Alice Cooper.